I’ve been downloading, using, and reviewing Apple software and third-party related software for over ten years, and I have to say that the new Apple Mac App Store is probably one of the most convenient ways to discover new Mac programs. 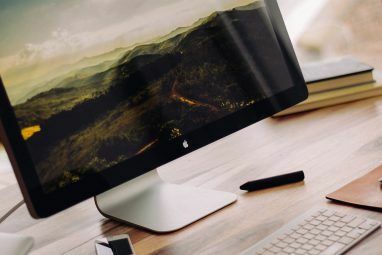 It provides developers with ways to reach a wider audience of Mac users, and gives consumers and users of Mac programs a central place to go and discover the most recent and available programs in the Mac market. 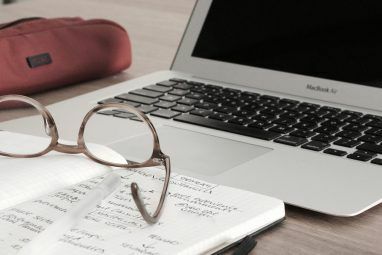 The Mac App Store is easy to navigate but there are some things you should consider when visiting the store and thinking about possible downloads. As I outlined in a previous article about the App Store Twitter for Mac and the New Apple App Store [Mac] Twitter for Mac and the New Apple App Store [Mac] Read More (which explains how to install and set up the application), the benefits of visiting and downloading apps from there is like getting all your apps from the iTunes App Store. When you download applications from the App Store, they are automatically installed in your Applications folder, as well as onto your Dock. When apps are purchased from the store, there’s no fussing about with keeping up with app licenses, because the licenses are tied to your Apple account. You never have to worry about losing that information. Finally, the updates of your App Store purchases are put into one central place. You’re notified through the Apple Store app that there are updates available for apps that you purchased in the App Store. Note of course, that apps purchased outside the App Store will not get the App Store update notification. However, with most third-party applications you purchase outside the App Store, you are typically presented with an option for the application to automatically check for updates on a regular basis. One of the biggest drawbacks to using the App Store is that you can’t download trial versions of posted applications. Free and demo applications have, for a long time, been the hallmark of computer technology. But in the App Store there’s no refund once you pay and download programs. So the first piece of advice is to do your research. Though it defeats the purpose of the App Store, you should still visit the developer’s website to get more information and download a trial version of an application you’re considering for purchase. Professional developers these days typically include a video and other supporting how-to information about their application(s) on their website. This is much more than what you get in the App Store. If after using the demo app, you’re satisfied with the application, trash it and then go purchase it in the App Store, so you can benefit from the advantages described above. Or you may decide to cut Apple out as the middleman and provide the developer with all the revenue. Buying products and services online has empowered many consumers because of one thing – public customer ratings and feedback. While the rating system is not 100% accurate, if you’re seeing lots of low ratings about an application, you will definitely want to read the complaints. When you click to view information about an application in the App Store, buyer comments are presented by “Most Helpful,” which is based on how many other App Store users found a user‘s review helpful in their description. App reviews can only be submitted by customers who have actually purchased the selected app from the App Store. This is a good thing because many of the reviews will be based on the reviewer’s actual use of the software. However, I tend to first sort comments by “Most Critical” to see if there are any red flags that I should know about. If there are a lot of low ratings, I then sort by “Most Recent” in order to see if the developer has fixed problems in app updates. I personally find the customer comments more helpful than the descriptions developers provide about their apps, as good user comments will often tell you why an app is useful or how they think it can be improved. I’m not a developer, but I’ve tinkered around enough in Mac programming Twitter for Mac and the New Apple App Store [Mac] Twitter for Mac and the New Apple App Store [Mac] Read More to know that developing applications takes skill, persistence and lots of patience. Many developers don’t receive the appreciation they deserve for the work they do. So if you find a very useful application, take five minutes in the App Store and write a paragraph or two of positive feedback. Your comments will also help other consumers in their buying decisions. Before you purchase an app in the App Store, you should check to see if there is a free lite version or free alternative version to the app you’re considering for purchase. Clicking the Top Free section of the App Store will reveal all the goodies. Just because an app is free doesn’t mean it’s cheap. However, if you’re looking to purchase a particular type of app, do a general search and get as many results as possible. This is where you will see free versions of apps listed alongside paid apps. With a little research, you may discover you don’t need the bells and whistles of say the $10 Twitterrific for Twitter app. The free official Twitter option may suffice. Another benefit of purchasing apps from the App Store is that you if you want to download those same apps to another computer on your Apple account, all you need to do is open the App Store app on that computer and then click on Purchases in the tool bar. Apps with the grayed “INSTALL“ button will be available for download to your other Mac. Also, if you started downloading a huge triple digit app from the Store, and for some reason you needed to pause that download, you can resume downloading by also opening the Purchases section. The Mac App Store provides several different ways to browse and become familiar with new and old apps. In the App Store tool bar, you can browse by Featured apps (ones that Apple has chosen to be featured), Top Charts (top selling apps), and Categories. There are also side columns for top free and top paid apps. I don’t find any one of these browsing options better than the other, mainly because I purchase apps based on their ability to solve particular problems, not because of how popular they are. The category for the “Top Grossing” apps is not that helpful, because they are often the most expensive apps in the store, which doesn’t mean they are the most purchased. Apple does include theme collections that are useful to find new and useful programs. Scroll down to about the middle of the App Store home page to find featured themes. The current Better Together collection, for example, includes some great recommendations for applications for sharing and syncing information between Macs and iOS devices. There some crucial missing features in the initial version of the Mac App Store. 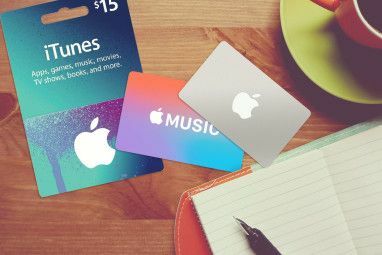 As with the iTunes App Store for iOS devices, there should be a way to save apps on a personal wishlist, as well as a way to gift apps to another Mac user. Also, while it’s great that apps immediately download and install into your Application’s folder, there’s no equally clean method for uninstalling purchased apps. Sure, any application can be easily deleted, but trashing an app does not clear its residue from your computer. For this you need to use a utility like App Cleaner or a similar application 3 Free Uninstallers to Clean Up Obsolete Files [Mac] 3 Free Uninstallers to Clean Up Obsolete Files [Mac] Read More . While Apple definitely wants to keep the Mac App Store clean and easy to use, it would be better if it included tab browsing, similar to what you have in the iTunes App Store. 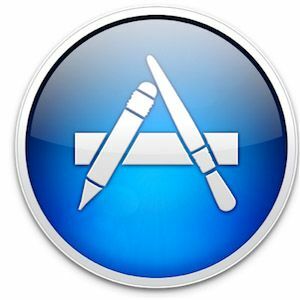 Let us know about your experiences using the Mac App Store. Do you visit it often? Do you find it easy to use? I can't be the only one experiencing this problem.. I am surprised that no one has encountered a problem with browsing through the app store. Every time I install an app and want to go back it always puts me at the beginning page of the app store and not where I was prior to my install. This is very annoying especially if I am on page 70 and it puts me pack to page one. Now I have to scroll ahead to page 70 to find new apps. Is there a fix for this? Hmm, I’m not sure i’ve experienced this issue. Or at least i haven’t noticed it. I would say though the navigation features in the App Store are pretty basic. I could at least use tabs. Hi, good walkthrough of the Mac App Store! Another plus for the Mac App Store - the license is more permissive than when buying direct from developers. For instance, popular apps like OmniFocus ($80) and Circus Ponies Notebook ($50), when you buy a personal license, enforce that only one instance of the app can run at any time across your computers. Scrivener ($45) requires "activation" per computer and is restricted to two computers per license. All these restrictions disappear when you purchase these apps through the Mac App Store. Yes, by design. 100% legal. Confirmed by these developers. Oh, cool,, jitg, I didn’t know this. Thanks for adding that. This bit of information should belong in the article itself. Unfortunately, developers don't have any incentive to blog about this - their "family pack" customers will feel they overpaid, a shift towards mac app store sales means less revenue per sale, and existing customers would ask for easier license terms all around. It's a tough situation for developers, but an easy decision for users. Hmm jjtg, thanks for sharing that perspective. I can certainly what you're saying. On other hand, do think some developers have seen an increase in sales because of the Mac Store? Handled Windows programs before the Internet, handled Mac Apps before there was an App store and did just fine. No chance to check out a program is the main reason the App Store is not visited beyond the reason of curiosity. I have to agree. Not being able to do trial downloads is a big issue. That’s why i still visit the developer’s site. I don't see why I should have to provide credit card details to get free apps. Lol, that’s the business part of Apple. They’re looking for you to eventually spend some money. Did you try getting the free app on the developer’s website?